North Country Sacred Harp: Singing in Tamworth! Saturday! Hi Folks! 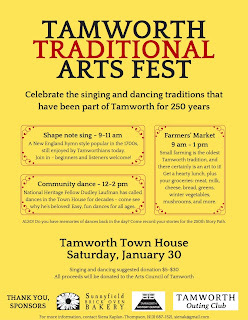 We have been invited to help lead a Shapenote Singing at the Tamworth Traditional Arts Fest this Saturday. Chris and I hope you will join us! 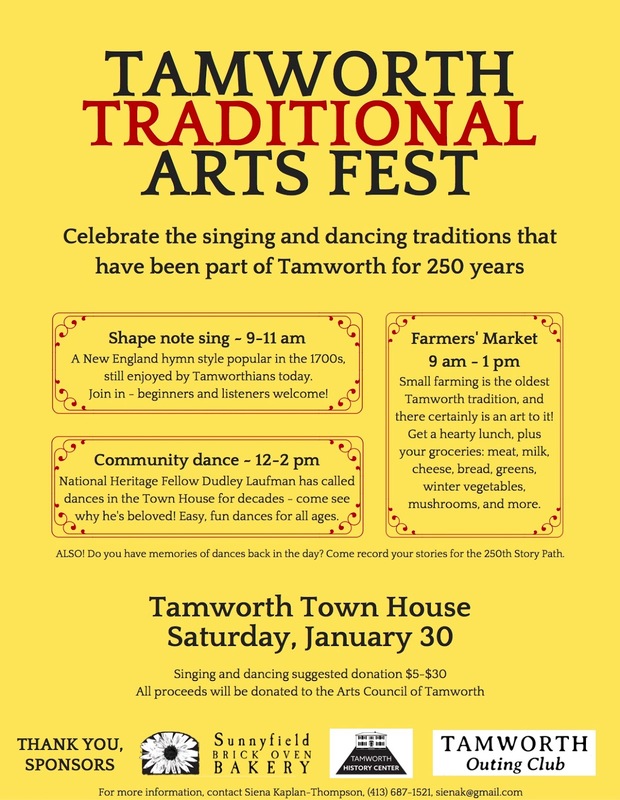 Singing will be from 9am til 11 and then there will be a community dance after that from 12 to 2. And what's more? Tamworth Farmers Market all morning long in the space downstairs! This is a good chance for folks who haven't tried singing before because we will give a little introduction and instruction, and hopefully we'll have a group of pretty strong singers, too! See you on Saturday!